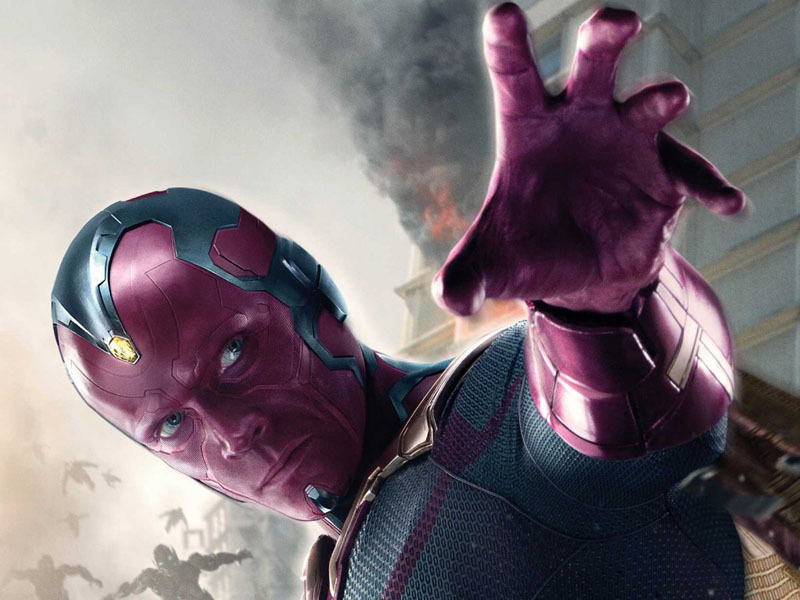 AVENGERS: AGE OF ULTRON—Hail the Vision! 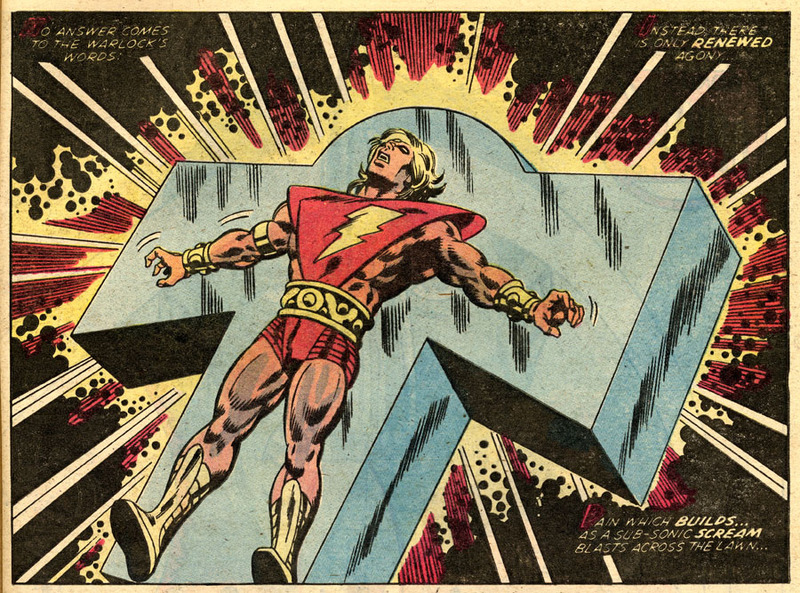 But will we see Adam Warlock in the MCU? (Addendum, May 1, 2017: If you read through this lengthy post, written in 2015, and you have seen the 2017 film Guardians of the Galaxy vol.2, you will note that the major theme of this post has been partly undermined by that movie. Which, in the circumstances, is Not a Bad Thing. This is not a review of Avengers: Age of Ultron, the latest offering from the Marvel Cinematic Universe. There have been more than enough reviews. This is more of a personal response. But firstly… about those reviews. 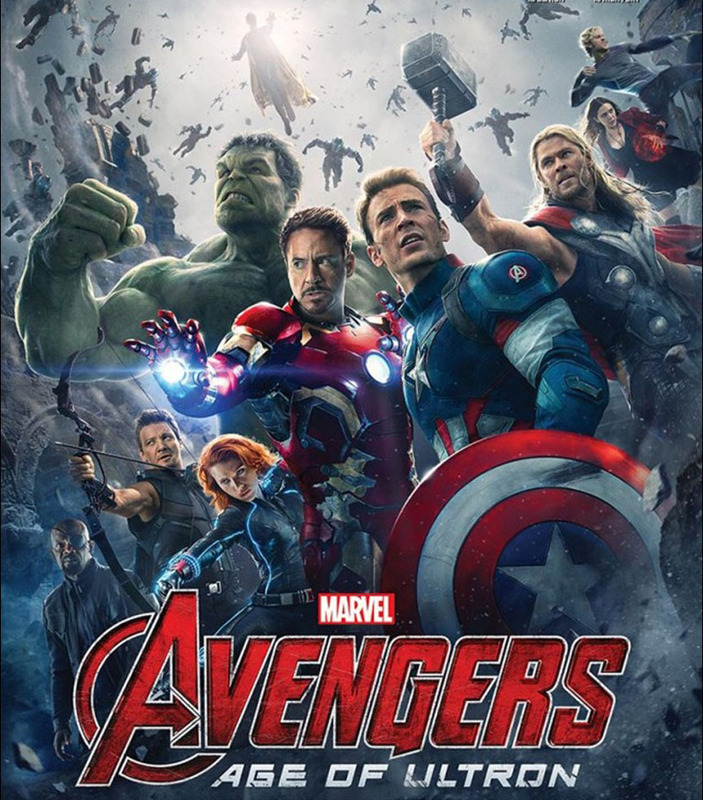 A fair few critics have disliked this film, the second in the Avengers series. Rotten Tomatoes, summing up, reckons it scores 74% positive, averaging 6.7/10, with the “professionals”. The first one, in 2012, got an impressive 91%, or 8/10. The figures from the viewing public are more consistent. 91% liked the first Avengers flick, only dropping to 89% this time around. While I still think the first one has a massive amount to recommend it, Age of Ultron seems like the better film to me. Maybe the critics are getting superhero fatigue. AoU is admittedly a bit overstuffed. There are just too many good things in it, and the length had to be trimmed back, so a few scenes feel truncated and crammed in. It’s a bit of a bludgeon first time around too. Possibly 3D did the film no favours. It may have contributed to the disorienting effect of the fast-paced action scenes. It was at my second viewing, in 2D, a week or so later, that I really fell in love with the film. One of the best things in what could be the best Marvel film yet is the origin of the Vision. For a lot of comics fans of my generation, the character has been quite a favourite. Roy Thomas’s original stories—starting in 1968—were good, classic superhero stuff when I was a kid. Steve Englehart developed the Vision later, as he did so many other Marvel mainstays, keeping them interesting for maturing readers. 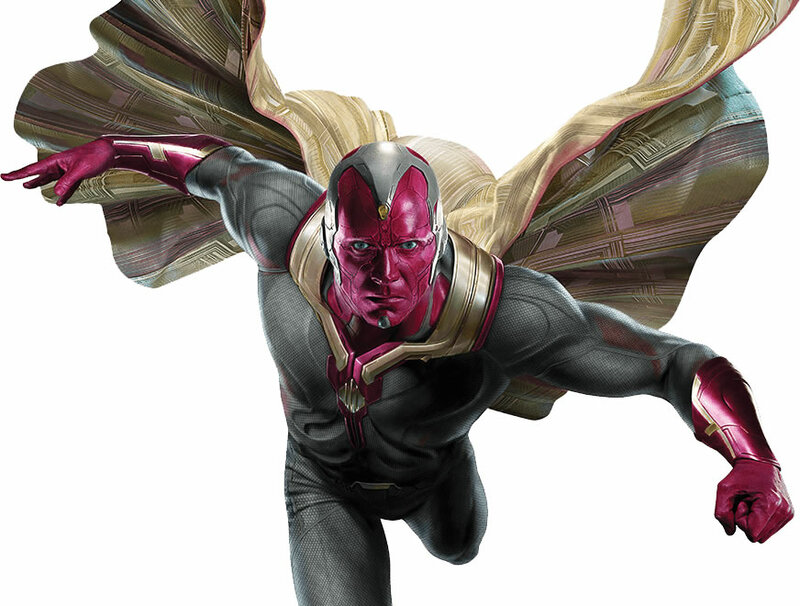 The Vision’s origin story in the Marvel Cinematic Universe is similar to its comic-book sources in many ways. This being the MCU, it is also substantially different. As they often do, Marvel has struck a good balance here. They may change the facts of a story quite substantially, but they manage to remain faithful to the spirit of the comics. As with the first Avengers film, I don’t think anyone but Whedon could have pulled this particular one off—or nowhere near so well. 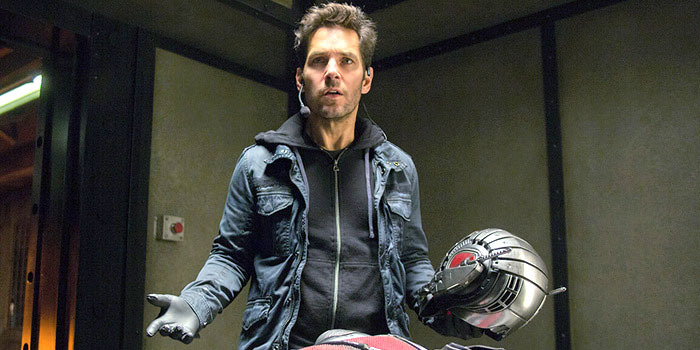 A possible point of contention: no Hank Pym in Age of Ultron. This bothered me when I heard the news, which was long before seeing the film of course. Teaser images and mini-trailers showed pretty clearly that, in the MCU, Tony Stark was Ultron’s “dad.” How could Ultron be created by anyone other than his comic-book “father,” super-hero science whizz Dr Henry (Ant-Man, Giant Man, etc.) Pym? Yes, it bothered me. For about five minutes. Maybe a few days, in real time. A little reflection and it became clear why it had to be Tony “I am Iron Man” Stark who creates the MCU’s Ultron. It was clear that there would be, could be, no Hank Pym involved because there are already two super-hero-scientists in the MCU’s Avengers—Tony Stark and Bruce Banner. No room for another one. It’s that simple, it seems to me. It was OK to fill up the pages of Marvel’s ever-expanding (at the time—the 1960s) comic-book line with super-scientists, both heroic and villainous. The repetitive trope would have worn pretty thin with MCU audiences. And the Avengers films couldn’t afford any more clutter. Joss Whedon was already juggling a large cast, and not without some difficulty. So I relaxed and figured that Joss Whedon would find a way to make it work without Pym. And yes, the MCU Vision’s new origin is extraordinarily well done. Better than I could have hoped for. It’s still tied in inextricably with Ultron’s origin, as in the comics. But it is both more credible than the comics, in a general sense, and more satisfying, specifically, in how it ties in with the MCU’s meta-story in unforeseen (exciting!) ways. And that’s where things get really interesting. 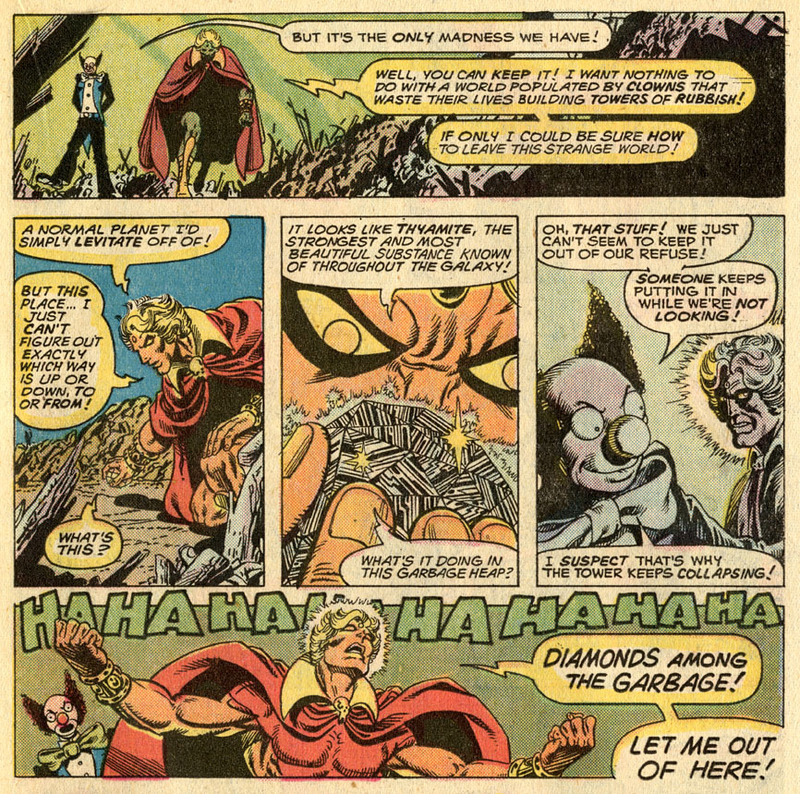 That’s where my narrative shifts to another old favourite character, Adam Warlock. Many of us have been led to believe that we will be seeing Warlock in the Marvel films sooner rather than later. Bear with me while I rehearse some background material, before getting to the meat of this. Like the Black Panther, the Inhumans and the Silver Surfer, Warlock started out as a supporting character in the Fantastic Four comic of the 1960s. The credits of Fantastic Four 66, September 1967, simply informed readers that “Stan (The Man) Lee and Jack (King) Kirby have done it again!” Scripter/editor Lee was blurring the distinction between writer and artist, partly to acknowledge what a large contribution penciller Jack Kirby was making to the plots of the stories. In many cases Kirby was also creating those new supporting characters, both the endless stream of new bad guys the comics obviously required, and others. Some of these others were a lot more ambiguous—they might fight against the heroes at first, only to switch sides later. The major new character in FF 66 & 67 does something new in the Marvel universe—though quite similar to the Silver Surfer some months before. He fights against his creators, but not against the Fantastic Four. Uniquely, our heroes don’t even meet him. In FF 66 we meet those creators, the Enclave—a bunch of sinister scientists who have hidden themselves away in order to create a perfect new artificial being. Having kidnapped Alicia Masters, the blind sculptor, they tell her that their motives are noble. In fact they wish to use their new creation to rule mankind. In FF 66, their super-powered creature has woken and emerged from his Life-Cell Tank too soon, before the Enclave could establish control over him. He has been fighting off their attempts to recapture him. They can’t even get near him. Neither the Enclave crew nor we, the readers, get to see this being until a long way into the story. He is also nameless, being referred to only as “Him”. …pation. In fact, throughout FF 66 the creature is not seen at all. Then on page 10 of no.67, Alicia confronts him—but he is now inside a cocoon, waiting to be fully born, so he remains hidden. Even after emerging from the cocoon, he stays off-panel as he continues to wreak destruction on the Enclave’s secret HQ. The Fantastic Four, having found their way there and rescued Alicia, escape without finding Him. On page 20, the 40th and final page of the story, the “monster” is seen at last, as he confronts the scientists who made him. He is golden, beautiful, more of a god than a man or a monster. 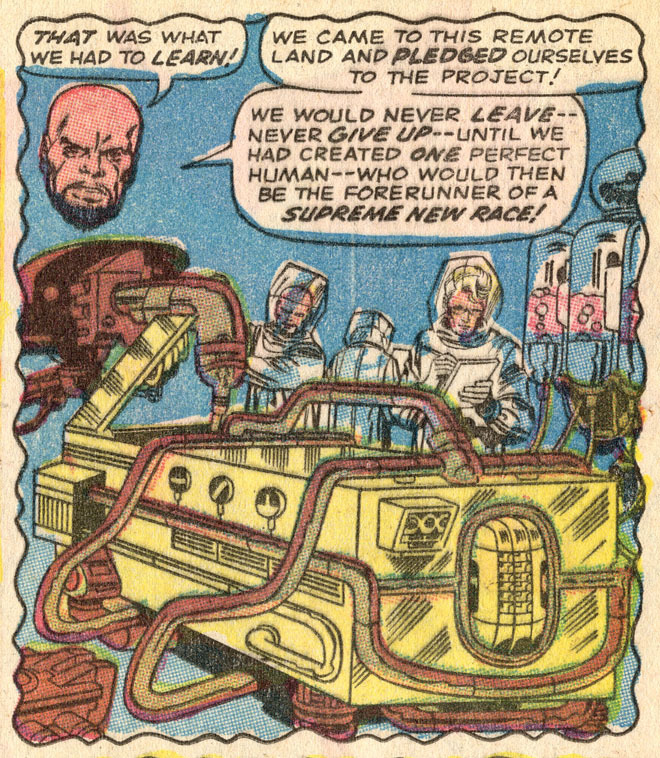 (In 1967, was Kirby’s imagination already turning to the creation of new gods?) After the final confrontation, having announced that our planet will not be ready for him for another millennium, he flies off into space. 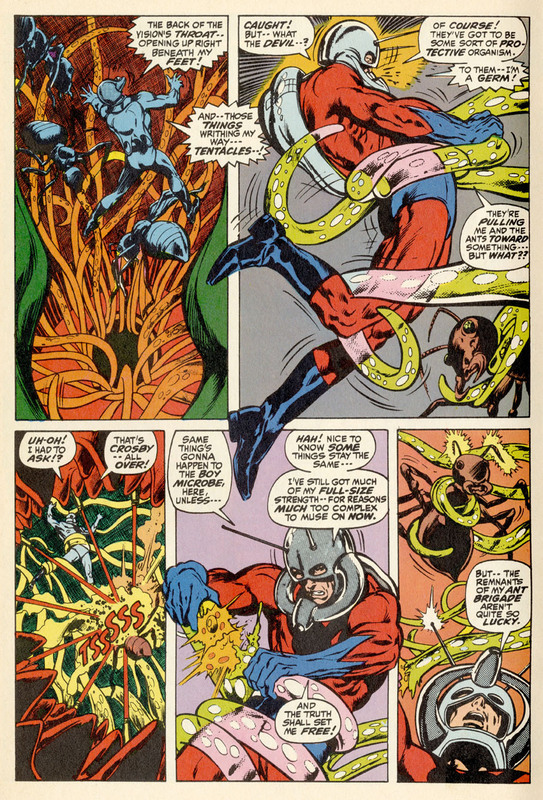 In Thor 165, June 1969—another Lee/Kirby production—after a mishap in outer space, Him finds himself back on Earth, in another cocoon. Waking from this, the still immature being decides he needs a mate, and fancies Thor’s lover, the Lady Sif. This provokes the god of thunder into a violent condition called the Warrior Madness, in which state Thor beats Him within an inch of his artificial life (Thor 166). He retreats into another cocoon and once again blasts off into space. Somewhat matured mentally and emotionally, the perfect artificial man hatches again in a new comic, Marvel Premiere (1 & 2, 1972) by Roy Thomas and Gil Kane. He begins a series of adventures on a very imperfect artificial planet called Counter-Earth. It’s so imperfect it’s almost exactly the same as the world we live in. This is where Him becomes Adam Warlock, and gains the green Soul Gem in his forehead—a gift from Counter-Earth’s god-like creator, the High Evolutionary. Warlock’s role on Counter-Earth is to be a super-hero Messiah, saving mankind from the satanic Man-Beast (and of course, from its own base nature). He was promoted to his own comic, but like other superhero comics which tackled the Burning Issues Of Our Time (e.g. the Silver Surfer and DC’s Green Lantern/Green Arrow) Warlock was not to last. After 8 issues, it was cancelled, and the storyline concluded in The Incredible Hulk 176-178 (1974). Back in those far-off days, I initially fell for the messianic Warlock. In retrospect I later felt the grafting on of Silver-Surfer-like characteristics was all a bit clumsy and second-hand. Still, when Warlock was actually crucified in 1974, one had to admire Marvel’s chutzpah, and then to see him resurrected…! Subtlety was rarely a feature of Marvel comics, and they certainly didn’t want anyone to miss the Jesus comparisons here. Most of all, though, I was a fan of Jim Starlin’s revived Warlock (in Strange Tales, then again in his own comic) whose adventures spanned 1975 to 1977. Here, the apparently helpful and empowering Soul Gem on his forehead was revealed to be a soul vampire. This—especially to a fan of Michael Moorcock’s Elric, and his soul-stealing sword Stormbringer, not to mention the same author’s Dorian Hawkmoon with the soul-eating jewel embedded in his forehead—should perhaps have seemed like yet more ripping off of other people’s ideas. Somehow Starlin pulled it off as what I saw more as homage (though later I was to discover that Mike Moorcock himself saw it as straightforward stealing of soul-stealing). Jim Starlin took his grim Warlock through some fairly hard-hitting outer-space adventures, but there was also one detour into outright satire. How many readers spotted the parallels between this scene and the comic-book industry? This saga culminated in a Big Confrontation with Starlin’s purple-skinned uber-villain, Thanos, in which Warlock teamed up with the Avengers, Spider-Man and the Thing from the Fantastic Four. (Avengers Annual 7 and Marvel Two-in-One Annual 2, 1977). Warlock met Thor again, who remembered him from before—and the Thing for the first time, since they had not actually encountered each other in FF67. Warlock even met the Vision… which is moderately interesting, as we shall see below. In this story, Warlock’s Soul Gem was revealed as one of the six massively powerful Infinity Gems. Thanos had stolen the power of all six gems, to use in his universe-destroying schemes. Which brings us back to the Marvel Cinematic Universe, where the Infinity Gems (or Stones as they are known here) are a major plot device linking the movies together.So is Thanos, for that matter, since his teaser appearance at the end of the first Avengers. And, among the now-traditional MCU “Easter Eggs” of recent times, we saw what seemed to be Warlock’s cocoon in the Collector’s collection as far back as the post-credits scene of Thor 2. And there it was, in the same place, in the film Guardians of the Galaxy. Warlock fans in all four corners of the internet rejoiced. Surely here we had evidence that our golden lad was heading for the big screen, perhaps in GOTG 2. Later however he pulled back from this position, saying that it was just a cocoon which resembled Warlock’s. 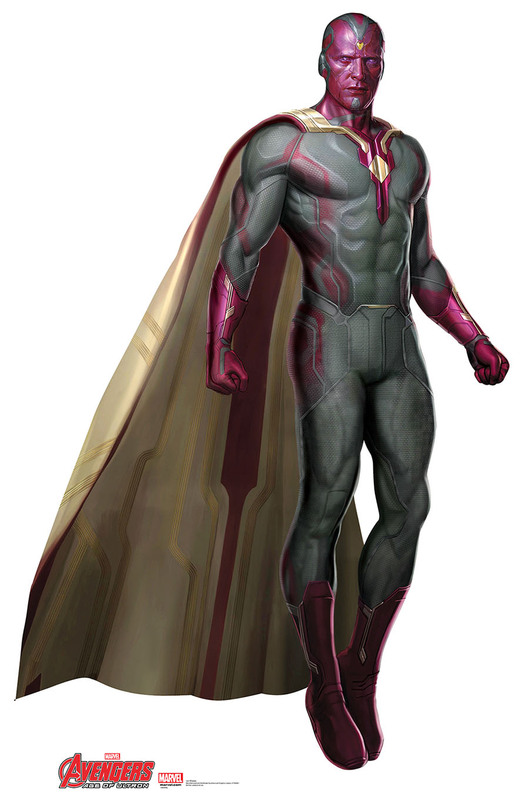 The Vision is a synthetic humanoid, resembling a human with red skin, but actually an artificial being, the product of super-advanced Earth science. Created for an evil purpose, he has developed a will of his own, rejected his creator’s designs, and is going his own way. He turns out to have emotions and ethics very similar to the best a true human could aspire to. Also, he’s a heavy hitter—Thor-type strong—and he can fly. Not only that, but he has a neat golden gem stuck in the middle of his forehead, which absorbs solar energy, and can blast it back out again as extra villain-zapping power. 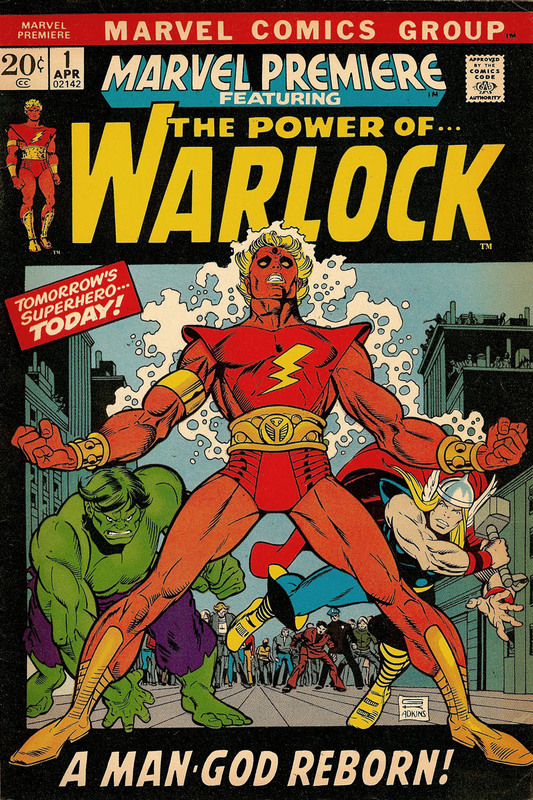 Adam Warlock on the other hand is a synthetic humanoid, resembling a human with golden-orange skin, but actually an artificial being, the android product of super-advanced Earth science. Created for an evil purpose, he has developed a will of his own, rejected his creators’ designs, and is going his own way. He turns out to have emotions and ethics very similar to the best a true human could aspire to. Also, he’s a heavy hitter—Thor-type strong—and he can fly. Not only that, but he has a neat green gem stuck in the middle of his forehead, which can blast forth extra villain-zapping power. The list of similarities, in other words, was long. Perhaps too long. As with Hank Pym and the Bruce’n’Tony team in Age of Ultron, maybe I just had to face the facts: the MCU ain’t big enough for the both of them. Having had that thought, James Gunn’s strong denial really seemed to set the seal on it: Warlock wasn’t going to be in GOTG 2. He probably wasn’t going to be in the MCU at all. And now, I must repeat my SPOILER WARNING! If you haven’t seen AoU yet and don’t want a major plot element revealed… come back another day. So, if you haven’t seen the film yet, you have now gone away? Good. Let us steam into the final act of this post. 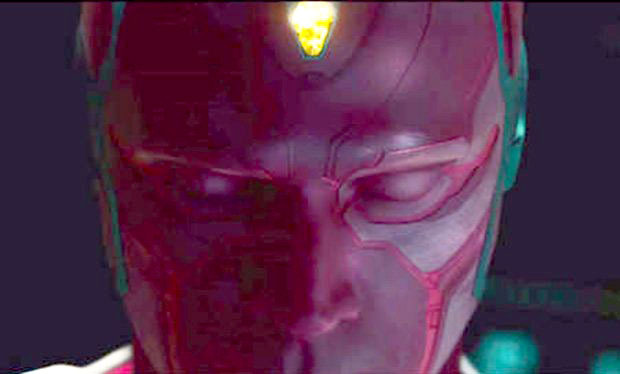 Now we have seen Age of Ultron, and we know that in the MCU, the Vision doesn’t just have a solar battery set in his forehead, he actually has an Infinity Stone. Just like Warlock has in the comics. The Vision’s Mind Stone has even been seen to steal people’s wills, not entirely dissimilar to how Warlock’s gem stole their souls. And if logic and James Gunn’s denials had pretty much implied it before, surely we now know it’s true: the MCU definitely isn’t big enough for the both of them. [Now, two years on, May 1 2017, that is starting to look as if it’s not correct…!] The MCU Vision has just too many many things in common with the comic-book Warlock. With the addition of an Infinity Stone, he very nearly is Adam Warlock, in everything but name. Of course, this doesn’t prevent the MCU from having a different version of Adam Warlock. [Now, two years on, May 1 2017, that is starting to look as if it IS correct…!] But in my view, they have made him basically redundant and are not likely to go there. Anything too far removed from the “real” comic-book Warlock would probably be seen as too much of a disappointment. In which case, James Gunn may have made a bit of a mistake with that cocoon. On the other hand, I don’t think it’s likely that an error on that scale would happen in the tightly planned MCU continuity. Isn’t it more probable that the whole thing was a big tease, a neat bit of misdirection? I’m not the only one to see the Vision / Warlock similarities, and draw some of the same conclusions (though I would like to state that I came to my own conclusions before seeing anyone else’s). See for instance Latino Review’s Marvelous Daze, captainzach616, and a few other perspicacious commentators online. If Warlock had arrived in GOTG 2, the combination of outer-space settings and the CGI-rich magic of the Marvel Cinematic Universe would’ve done him proud. I was looking forward to seeing him as one of the Cosmic Characters inhabiting the farther reaches of the MCU. So again, as quite the fan, after I had the Big Realisation that Warlock was not likely to appear, a feeling of disappointment descended. And this lasted longer than the five minutes allocated to Hank Pym and his non-appearance in AoU. But that was before I saw Age of Ultron, which at the same time as twisting the knife in the wound—making it pretty certain that we really won’t be seeing Warlock on the big screen—paradoxically also takes away most of the hurt. Because having seen the MCU’s Vision portrayed so well, I am almost completely happy. If we speculators are right, and we are to have no MCU Warlock, there is still a sense of loss. But with what we have been given, I think we should feel intensely satisfied. Now, two years on from my writing this post, in GOTG2, James Gunn gives the MCU a new golden-skinned alien race, the Sovereignty, who aim to achieve total genetic perfection. In a post-credit scene, we see their high-tech birthing chamber. Soon, an all-powerful being called Adam will hatch from this chamber. Thanos planted the Mind Stone on Earth in the sceptre he gave Loki. His original plan was that Loki would lead a successful Chitauri invasion of the planet, after which Thanos would presumably come and get what he wanted. Whatever else Thanos wants from MCU Earth—and as far as I can recall we really haven’t had any hint of that yet—we can assume he wants his Mind Stone back. He is, after all, trying to collect the set. So, sooner or later Thanos will be coming to get the gem out of the Vision’s head. People are already speculating that Thanos might kill the Vision. The MCU has shown that it is willing to kill off a new character pretty quickly. Maybe the Vision doesn’t so much die as… goes into a cocoon and comes out… changed…? Nah! That’s not going to happen. The Vision isn’t that similar to Warlock. I don’t believe Marvel intends to evolve him into Warlock, in any literal sense. But maybe he will be almost dead and in need of a Warlock-style resurrection. Similar to this classic Roy Thomas / Neal Adams story in Avengers 93 (1971). So… here’s a bit more speculation that might just be closer to home. 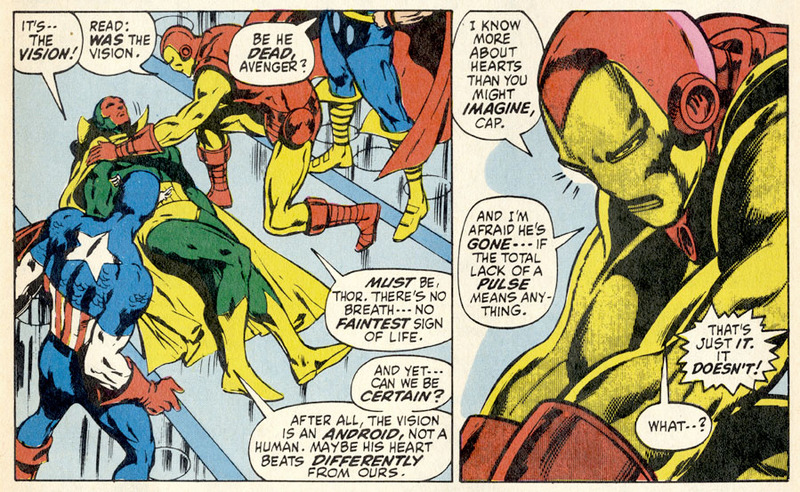 Maybe the Vision looks pretty much deceased, but the Avengers figure out a way of rebooting his synthetic life-force—effectively, of bringing him back from the dead. No, that’s too crazy, isn’t it? That kind of thing might just work in a 1960s Raquel Welch movie, or a comic book like the classic Roy Thomas / Neal Adams Avengers 93, below… but in the Marvel Cinematic Universe, when are you ever going to see a tiny weeny super-hero like that? Never going to happen, surely ?! 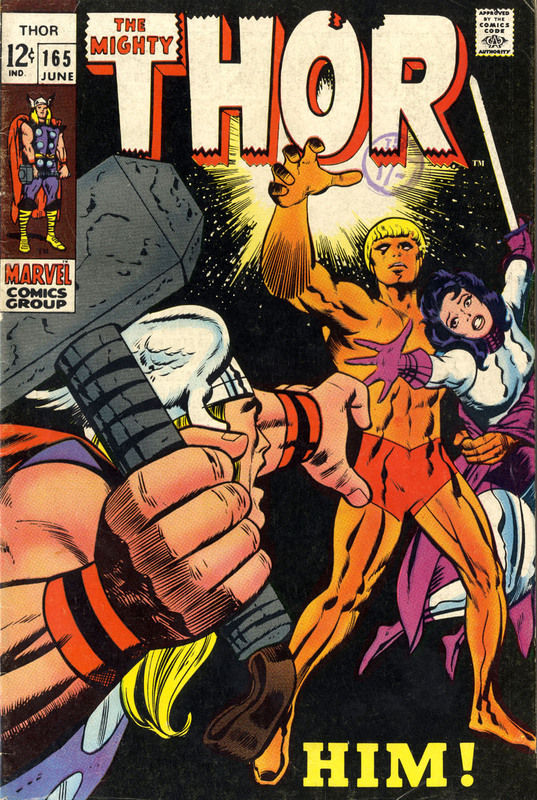 PS: Beta Ray Bill… in the Marvel comics he’s an orange skinned non-human who is so noble he can lift Thor’s hammer. Is the MCU big enough for both of them? Anyway, this is only fun-packed speculation, and we could still see Warlock and/or BR Bill in the Marvel Cinematic Universe. But as they say in the funny papers… I wouldn’t hold your breath. 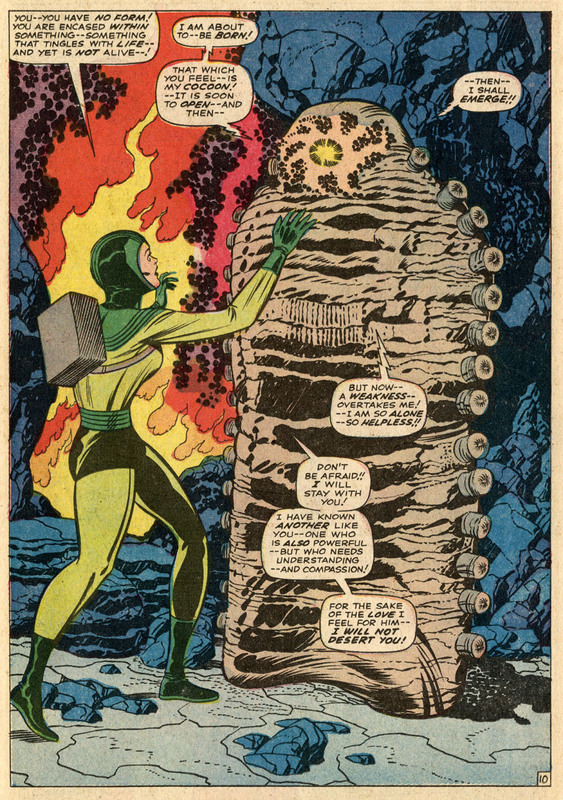 This entry was posted in Avengers, Comics, Superhero movies and tagged Adam Warlock, Age of Ultron, Alicia Masters, Ant-Man, Avengers, Black Panther, Bruce Banner, captainzach, Counter-Earth, Dorian Hawkmoon, Edgar Wright, Elric, Fantastic Four, Gil Kane, Green Arrow, Green Lantern, Guardians of the Galaxy, Hank Pym, High Evolutionary, Him, Hulk, Inhumans, Iron Man, Jack Kirby, James Gunn, Jesus, Jim Starlin, Joss Whedon, Kevin Feige, Latino Review, Loki, Marvel Cinematic Universe, Marvel Premiere, MCU, Michael Moorcock, Neal Adams, Peyton Reed, Roy Thomas, Sif, Silver Surfer, Stan Lee, Steve Englehart, Superman, Thanos, The Vision, Tony Stark, Warlock. Bookmark the permalink.